COLLEGE & SCHOLARSHIP LETTERS - Please turn in copies of all acceptance letters and scholarship offers that you receive to Ms. Koontz, even if you don't plan to attend or accept. We keep track of this information. Raiseme Scholarship - Earn micro-scholarships directly from four-year colleges for your school achievements starting in the 9th grade, all the way through to community college! Deadline varies by school. Scholarship Search Sites - Five scholarship search platforms. Tom Duncan Reed "Service Above Self" Scholarship - Must be a resident of Washington County and have a minimum 3.0 gpa. Deadline: April 25th, 2019. Jackson E. Breunig Scholarship - $500. Must plan on majoring in engineering. Short essay is required and a letter of recommendation. This is for a Bethlehem student. Deadline: April 29, 2019. Alberta C. Kaufman Scholarship - $500. Minimum 3.0 gpa. Submit an essay telling about someone who influenced your life in a positive manner and how that will have an impact on your future. Deadline: May 9, 2019. Triple-Impact Competitor Scholarships - up to $2,000. Must be a high school junior playing for a high school team or in club sports. 2.5 minimum gpa. Deadline: May 31,2019. Aspiring Animation Professional Scholarship - $1,000. 500-1000 word essay required. Deadline: May 30, 2019. Becker Law Office Scholarship - $5,000. 500-750 word essay which focuses on teen driving. Deadline: May 30, 2019. Horatio Alger National Career & Technical Education Scholarship - $2,500. Will award over 1000 scholarships for students interested in enrolling in a 2 year or less career or technical degree/certificate program that will lead to employment. Deadline: June 15, 2019. SeniorAdvice Caregiver Scholarship - $2,000. For a student who has been a caregiver for a senior friend or relative. Deadline: July 15, 2019. Jan Egerton and Don Smitley Mesothelioma Scholarship - $2,500. Deadline: July 20, 2019. Wilshire Law Firm Scholarship - $1,000. Minimum 3.0 gpa. 600 word essay required. Deadline: June 28, 2019. ABC Humane Wildlife Academic Scholarship - $1,000. Essay required. Deadline: July 1, 2019. Kaplan Group Annual Scholarship - $1,000. Minimum 2.5 gpa. Eligible fields of study: Finance, Accounting, Law, Management, Entrepreneurship, Economics, Business Administration. Deadline: August 11, 2019. NHS MEMBERS: Use www.nhs.us/scholardollars to search for more scholarships. Fitness Assessment scoresheet. Full tuition plus monthly $250 stipend. standards. Full tuition plus monthly stipend. UPS (United Parcel Service) offers 100% tuition paid. Parents please contact your human-resources department or benefits manager to find out whether your employer offers scholarships. Assumption College - Annual $2,500 Scholarship for Catholic High School Students. Bellarmine University - Get a $1,000 for simply completing the FAFSA. Thomas More College gives $13,000 to Bethlehem graduates with a 2.5 and minimum 20 ACT. Bishop Roger J. Foys Ministry and Service Scholarship up to $32,000 must have at least a 22 ACT and 3.0 GPA. Visit Thomas More and receive an extra $1500 scholarship. Saint Michael's College in Vermont gives $5,000 per year to graduates from Catholic high schools. Admission application must be received by Feb. 1, 2015. Seton Hall University - Catholic high school graduates with a minimum 3.0 GPA and a 29 composite ACT will be awarded $2,000 annually for four years. Brescia University gives the Catholic Connection Grant (1/2 tuition) from Catholic high schools. Aquinas College (Nashville) gives $1,000 to students from a Catholic high school. Tennessee Tech offers Eagle's Reach Tuition Reduction program, a savings of $11,200 per year. Bellarmine University-The Bellarmine Scholars and Bellarmine Fellows awards, awarded to entering freshmen, are Bellarmine’s most prestigious academic scholarships. The application deadline is December 1 and an essay with the topic "Describe an incident or situation in your life which piqued your intellectual curiosity" is required. Past recipients have scored 30 or higher on the ACT or 1390 or higher on the SAT and demonstrated a GPA of 3.4 or higher. Centre College - All students who apply for admission by January 15 are considered for a merit scholarship. Eastern Kentucky University - Enter your GPA and ACT/SAT score to see if you qualify for a merit scholarship. Morehead University will award new freshmen with a minimum 3.25 GPA and 22 ACT a $2,500 scholarship; a 3.50 and a 25 = $5,000; a 3.75 and 28 ACT = $8.000. Must apply by March 15. Honors Scholarship application due December 1. Scholarship information link. Murray State University - Must complete an MSU Scholarship application by January 15. Northern Kentucky University- will award new freshmen with a minimum 2.5 GPA and 21 composite ACT will be considered for a merit scholarship. Transylvania University the William T. Young, Kenan, & Trustee Scholarships application must be submitted by December 1. University of Kentucky - Completed admissions application and transcript must be received by December 1. University of Louisville - Honors Program requirements are 3.5 GPA , minimum 29 ACT and evidence of leadership, service and rigorous curriculum. Deadline for application is January 15. UofL Mentored Scholarships (Brown Fellows; Grawemeyer; MLK ; and MCConnell) deadline is December 15. UofL Guaranteed Entrance programs deadline is December 15. Western Kentucky University - Honors College application serves as the application for the Cherry Presidential scholarship if received by December 1. Admission application deadline is November 15. 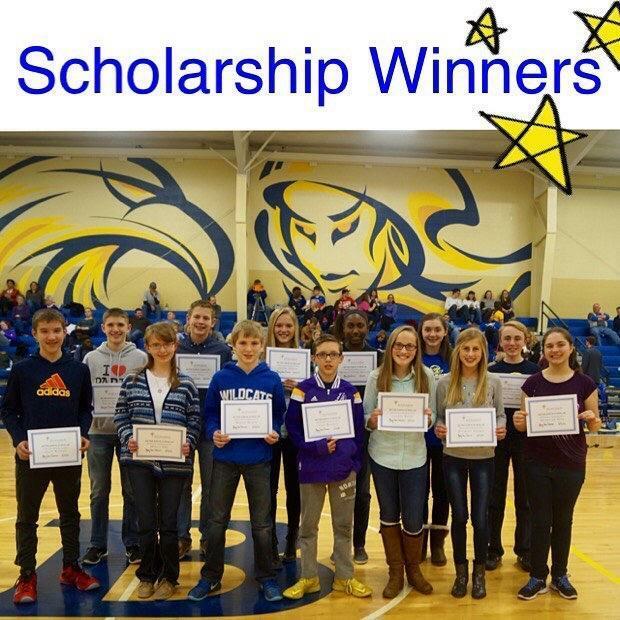 For all other scholarships, students must be admitted by January 15th and submit the TopDollar scholarship application and all required documents by February 1st. Contact Rita S. Koontz, College & Career Counselor raskoontz@bethlehemhigh.org.